London has a veritable cornucopia of markets: from Camden to Covent Garden, Brick Lane to Brixton, Spitalfields to Nottinghill and Petticoat Lane, these popular markets attract shoppers from all over the world. Last Christmas, staying downstream from the Tower of London, we uncovered another little gem of a market. And given the publicity it has sadly received this week, today seemed a particularly good time to celebrate its historical importance and its infinite attractions. Borough Market is tucked under the railway arches beside Southwark Cathedral, only a stone’s throw from the Shard and London Bridge station. We wandered past one nippy December morning, to be greeted by the delicious aroma of mulled wine simmering away in a huge cauldron. Moments later our noses were assailed by the glorious fragrance of Spanish meatballs cooking gently beside a vast pan of seafood paella. 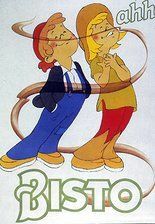 We were like the Bisto Kids, eyes closed blissfully, following the mouth-watering odour of a home cooked roast dinner, despite a huge pancake breakfast only an hour before, just around the corner. Resisting temptation, but barely, we sauntered into the depths of the market, past stalls selling piping hot bread, myriad cheeses, charcuterie and artisan chocolates. We chatted with a friendly stall holder who tempted us to try some salami and fresh Italian cheeses. We found barrels of olives and shelves teeming with olive oils. There was produce from Chile, Ethiopia, Austria and Granada, and street food from India, Thailand, Egypt and the Eastern Mediterranean. Not to mention all the traditional English pork pies and Cumbrian sausages. And over the Christmas holidays, we wandered back again and again to stock up on fresh vegetables, fruit, wines and cheeses and soak up the cheerful atmosphere. The clock ticked on, until I was there again, on an unexpectedly mild day in March, to find that the cauldron of mulled wine had been joined by tall jugs of Pimms, eagerly heralding in the Summer. Wishful thinking, I remember thinking at the time. But the arrival of summer is inevitable, I guess, albeit a microscopic beacon in the distance. So there I perched on a tiny bar stool against the church railings, watching the crowds ebb and flow, and catching up with a long lost friend over plastic cups of Pimms and spicy, Spanish meatballs. Back in the days when Vikings roamed the sea and regularly came pillaging and plundering in Britain, Southwark was already a mighty market town on the southern side of London Bridge – the only bridge into the City of London, from the ports on the south coast. Reading the history of Borough Market on its website, it sounds like Southwark and the City spent centuries squabbling like children over trading rights and traffic. Eventually, Edward VI stopped the brawling by simply selling Southwark to the City. The market continued to thrive, until it was razed to the ground by fire in 1676. Naturally, it reconvened – in the middle of the main road. Surprisingly, this did not prove popular with Parliament, which promptly passed an Act declaring it would have to cease trading within the year. Local traders refused to take this lying down, and petitioned parliament for a new market place off the High street. Recognizing a possible compromise, a second Act was passed, declaring that the parishioners of St Saviour’s were welcome to acquire land away from the main road on which to re-establish their market for perpetuity. By 1756, sufficient funds had been raised to establish the market to the west of Southwark High street. During the 19th century, south London developed rapidly, Borough market expanded, and Britain became mad for railways. A viaduct was built to carry the trains over the heads of traders. This did not greatly bother their customers, however, as the filth of smoke and soot was outweighed by the market’s increased accessibility. It soon became a wholesale hub, and thus it would remain until the 1970s, when the opening of the new Covent Garden market at Vauxhall and the relentless growth of modern supermarkets brought a sudden, sad end to this ancient market. Yet Borough Market would be reborn only a generation later, as food fairs and gourmet food products became all the rage in the 1990s. Gradually, European traders swelled the ranks of local artisans, and Borough Market expanded from a monthly to a weekly affair. Today, it has evolved to such an extent, that it is open six days a week and there is barely room to move between the stalls at lunchtime, as local workers gravitate to the multitude of fascinating and tasty food stalls for lunch. Cooking demonstrations, pop up restaurants, pod casts, food related debates, specialist stalls… Borough Market is a daily hive of activity, a forum for every aspiring Foodie to gather in. It’s enough to make me move to London! * In remembrance of those unfortunate few who also loved spending time at Borough Market, but will not pass this way again. 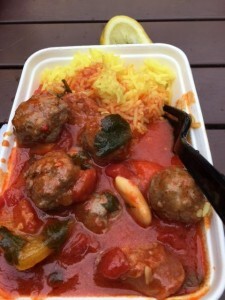 This entry was posted in England, Food & Wine and tagged Borough Market, London, Southwark. Bookmark the permalink.